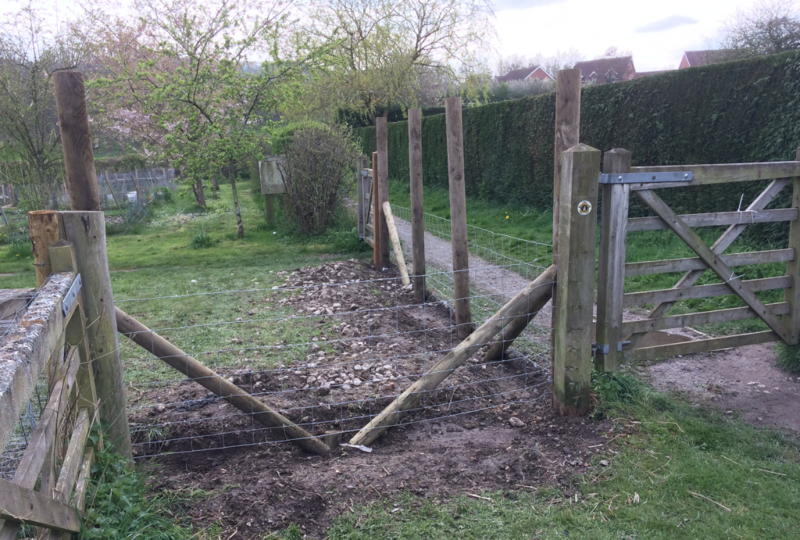 Within an earlier blog post I wrote about the fencing work under way to repair and replace fences at the North East corner of the Craven Arms Community Garden. This work will improve the fences and also render the Community Garden more secure in order to reduce the risk of damage and thefts. The photograph below shows the progress of the work achieved by the evening of Monday 8th April 2019. We are grateful to Euro Quality Foundation who kindly provided the funds to allow this project to be carried out. 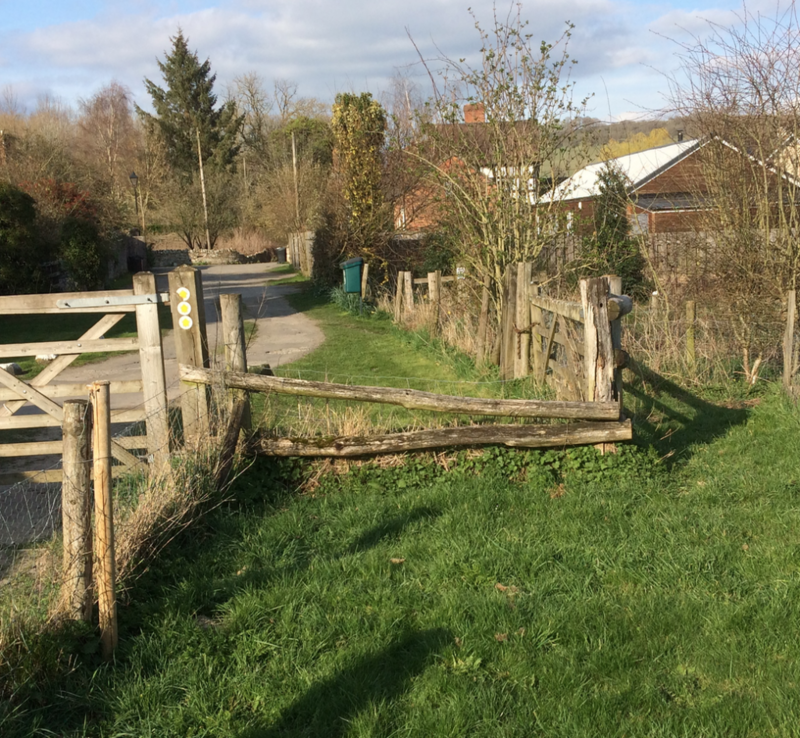 In an earlier post I wrote about the funds we have received from Euro Quality Foundation which we are using to repair and replace fences, gates and hedges at the Craven Arms Community Garden. These improvements will enhance both the appearance of the Community Garden and also increase security to combat the thefts and damage suffered in recent years. The photograph below shows the state of disrepair of the fences at the North East corner of the Community Garden. 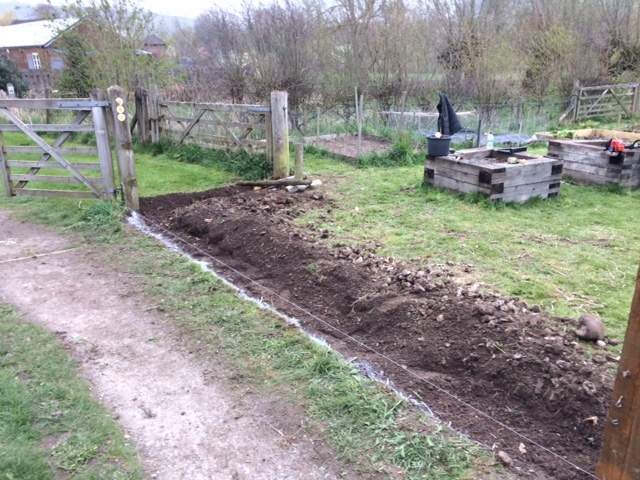 On the Tidy Sunday yesterday, 7th April 2019, three Plot-Holders of the Community Garden – John Wood, Kevin Roche and Sean Scannell – started work on this project. The first stage saw the removal of the existing fence and fence posts and preparation of the ground for the installation of new, taller fence posts and new wire fencing. Over recent weeks your Chairperson, John Wood, and I (and with the kind support of Grant Wilson, Centre Manager of Shropshire Hills Discovery Centre), have been working on aspects of Heath and Safety legislation as it applies to the Craven Arms Community Garden. We have carried out Risk Assessments and arising from those are decisions which affect all members of CACG. The most significant decision is that to comply with the legislation all CACG Plot-Holders and Volunteer Gardeners who want to use mowers, hedge-trimmers and strimmers may only do so once they have received training in their use. I recognise that some of you may feel this is “yet more Health and Safety gone mad” but the legislation requires that we all conduct ourselves in a safe manner and avoid risk to ourselves and others. In many cases the requirements are not onerous and build on common sense. A further reason for bringing up Health and Safety standards at this time is that we are seeking some external grant funding to facilitate improvements to the Community Gardens, and funding bodies typically require evidence of a stringent adoption of Health and Safety. In due course John and myself will provide you with more information about this topic. We will also be carrying out “Safety Briefings” at the start of Tidy Days.